Reduced cross-Strait tensions are welcome, but current trends may not favor U.S. interests. The visit of the head of Taiwan’s Mainland Affairs Council (MAC) to China earlier this month to meet with his counterpart brought the two sides closer than they have been since 1949. This trip is the latest example of how the United States’ failure to actively manage to its Taiwan policy may not be best serving its security interests in the region. The meeting was more about symbolism than substance. During the meeting between MAC head Wang Yu-chi and Zhang Zhijun of the mainland’s Taiwan Affairs Office (TAO), the only known topic discussed was the possibility of establishing offices on the other’s side at an undefined point in the future. The political disagreements between the breakaway island, which believes it is self-governed, and the mainland, which considers it a rebellious province, did not allow for a more meaningful first-round discussion, and Wang did not have the authority to sign any agreements during his trip. The move is the latest by the ruling KMT party to appease or move closer to China. President Ma Ying-jeou has worked to negotiate the Economic Cooperation Framework Agreement (ECFA) with China, the latest series of add-ons to which sparked intensified opposition last summer. Ma stated last year that relations between Taiwan and China are not relations between two sovereign nations. His administration has also revised textbooks to emphasize the island’s mainland heritage. Based on its treaty commitments, the U.S. has promised to oversee Taiwan’s peaceful reunification with mainland China on mutually acceptable terms. Washington does not support Taiwan independence. However, the 1979 Taiwan Relations Act expresses “the expectation that the future of Taiwan will be determined by peaceful means.” As such, the U.S. maintains its right to sell weapons “of a defensive character” to Taiwan, despite China’s angry response to each sale. In practice, the U.S. has lately played a passive role in the cross-Strait dialogue, and has paid little, if any, attention to updating its Taiwan policy. Since the administration of Ronald Reagan, the U.S. has committed to not participating in talks between China and Taiwan, but nor has it demonstrated interest in the most recent dialogue, or indeed Taiwan, in recent years. President Barack Obama’s rebalancing to Asia refocused attention on the broader region, yet Taiwan’s relationship with the U.S. was, as it often is, taken for granted. The status quo is erroneously assumed to be a static situation of de facto independence, rather than a gradual cross-Strait rapprochement. Now that cross-Strait tensions have fallen from its peak in the 1990s, Taiwan is off the radar. This neglect is all the more surprising given the security interests the U.S. has in maintaining a separate Taiwan. First and foremost, improved relations with Taiwan, or potential reunification, gives China more access to vital sea lanes of communication, and could potentially enhance its naval projection power. While there is no guarantee that Beijing would capitalize on this to impair the U.S. Navy’s access to the area, its stated displeasure with American military “interference” in the Asia-Pacific region makes that outcome more likely. This extension of de facto, and not just claimed, territorial waters would likely bolster China’s contentious claims to islands in the East and South China Seas, at the expense of American allies who have their own competing claims. Finally, Taiwan hosts U.S. signals intelligence collection facilities, which would be unlikely to persist with closer cross-Strait ties. The costs of the U.S. relationship with Taiwan are mainly financial: reduced American support for Taiwan would not improve relations with Beijing. The U.S. may also be jeopardizing its apparent commitments to its allies by allowing this trajectory to continue. It is generally understood that Washington will not accept any cross-Strait agreement that is not acceptable to the people of both sides. 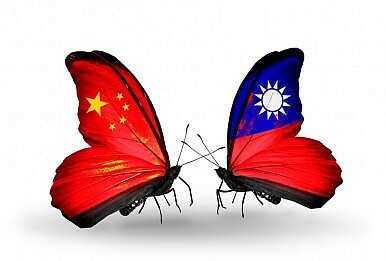 In a poll last year, a Taiwanese news channel found that fewer than 20 percent of Taiwanese support reunification. Even conciliatory, non-political measures like ECFA are opposed by the minority DPP party and by a substantial portion of the population. Were future steps in closer cross-Strait ties to proceed despite domestic protests, Japan and South Korea would have a very different understanding of the U.S. commitment to their defense. As such, the argument that the current situation is peaceful, which makes it inherently preferable to the cross-Strait relationship in the past, is perhaps simplistic. Peace of course has intrinsic value, and this piece does not argue that tension should be higher for tension’s sake. However, it is possible to imagine a circumstance that is somewhat tenser—still less so than in the nineties—that better suits American security requirements than the status quo. From the U.S. perspective, a more peaceful region now may only create larger problems in the future. Peace has a price, and in this case it may be American and Taiwanese security interests. Unless U.S. policymakers direct more attention to Taiwan, it will continue to move closer to the mainland. To be clear: the MAC-TAO talks are not a stalling tactic that will solidify Taiwan’s apparent separation; they are rather a move closer to reunification. President Xi Jinping made this clear in his dismissal of talks between Chinese and Taiwanese officials at the upcoming APEC forum as “inappropriate.” In a multilateral forum, their communication might be mistaken as between two states. However, a cross-Strait political dialogue “cannot be passed on from generation to generation,” which implies that a political resolution of the divide should occur in his lifetime. Under the circumstances, it is rational for Taiwan to continue the path it has been pursuing, but it remains to be seen if doing so is in its, or America’s, best interest. Vivian Lehecka Coyne studies at Columbia University’s School of International and Public Affairs. She spent the summer of 2013 in the Political Section of the American Institute in Taiwan. The views herein are her own and do not reflect those of the U.S. government. Invite President Tsai Before Congress? Not a Wise Move. The risks for Taiwan and the U.S. far outweigh the benefits.